Fixed number portability allows you to switch your fixed line service and transfer your number from one provider to another, quickly and easily. Wi-Manx’s fixed line services must be used in conjunction with one of our broadband packages. To get started, all you need to do is pop into our dedicated Customer Service Hub on Ridgeway Street in Douglas and let us know you would like to switch to us. Please bring photographic ID with you, preferably passport or driving licence, together with the most recent bill you have received from your current provider. Alternatively, if you prefer and have an online account, you can go online and show this to a member of our customer support team. You will then be required to complete and sign a porting request form. Once the form is completed, a member of our customer support team will help you to submit it to the central porting service which acts as a link between the providers. The central porting service will send you a special code by text and e-mail. The code will ensure your services and number can be switched safely and securely. When you receive the code, dial 190. You can do this from your home phone, at our office using your mobile phone or a phone the customer support representative provides you with. You will be prompted to enter the phone number you are transferring and the code using the keypad. Don’t worry if you make a mistake, you can just hang up and start again. If you are doing this whilst at the Wi-Manx office, our customer service representative will be able to help you. Provided your number is not barred or your account suspended due to non-payment, your order will be processed, and you will be informed of its progress by text and e-mail. Your number should be transferred within five days of your request. Some services or service preferences you receive from your former provider may not be available from your new provider, or you may need to ask your new provider to set these up on your new account. For example, if you have an ex-directory listing, you will need to ask your new provider to continue this if you want to keep it. You will have a new voicemail service with your new provider, and so any voicemails you have saved with your former provider will be lost. Once the switching process is underway it cannot be cancelled. Normally you are unable to port your number again for 60 days after your number has been ported. However, there is a “cooling off” period of 14 days following a switch so that you can switch back if you change your mind. Payments may still be due from you to your former provider. This is likely if you are switching before the end of a minimum term contract, in which case you may be required to pay a charge to settle the remainder of the minimum period (usually equal to the number of months remaining in the minimum period multiplied by the monthly subscription charge). Your former provider is not allowed to try and persuade you to stay with them during the porting process, but they can contact you to recover any outstanding payments. 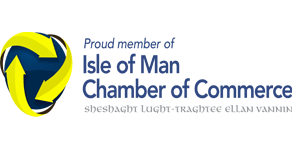 We are delighted to be able to use Wi-Manx as an Isle of Man based hosting provider. We are extremely impressed by Wi-Manx. We cannot underestimate the importance of reliable and high-speed connectivity and the installation of our super-fast dedicated line from W-Manx further positions The Claremont as the hotel of choice for Island visitors. We are delighted with the Wi-Manx team following the inception of our Hosted Desktop solution. We noticed immediately the difference in speed and productivity. Wi-Manx have been extremely helpful, particularly towards those with limited IT knowledge. I would recommend them in particular for their understanding of the needs and limited resources of a new small business.